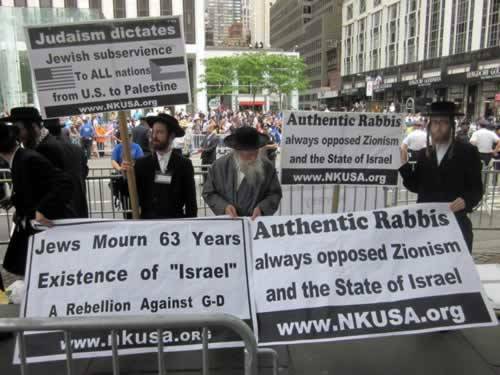 Neturei Karta is a group of anti-Zionist, ultra-Orthodox Jews who pray for the ‘peaceful dismantling of the State of Israel’. Descended from the Orthodox Jewry who, for hundreds of years before the advent of Zionism in the 1900s, lived in peaceful coexistence with Arabs in Palestine, they base their opposition to Zionism not only on the rich tradition of written and oral Jewish prophecy- which says, among other things, that Jews should not settle in the land of Israel until the coming of the Messiah, and that at no time during the Diaspora should Jews return en masse to the land and settle it by force- but also on their clear perception that the human rights abuses committed by Zionism run directly counter to Jewish ethics and morality. Much of Neturei Karta’s condemnation of the state of Israel is founded on principles of Torah and Judaic eschatology which are foreign to us; their primary opposition to the State of Israel is founded not on its grossly imperialistic human rights violations, but on its infidelity to the true dictates of the Torah (the former, for them, derives from the latter). Nonetheless, they share with secular anti-Zionism the universal moral imperative, and the desire for a liberated, secular, democratic Palestine. Accordingly, this parable can take on meaning for us beyond its Torah context. We can apply it not only to contemporary discussions of the State of Israel, but also to the modern State as such, the capitalist cosmo-polis that threatens to engulf the planet; we can distill from this parable a drop of insight touching on the general question ‘What is to be done?’, in reference both to this particular manifestation of imperialism (Israel), and to imperialism as such. What is to be done? that is, how shall we resist? What is resistance in this day and age? In this parable, who are the ‘scribes and scholars’, who are the ‘city guard’, and what is the ‘city’? A simplistic, surface-level bourgeoisie reading would suggest that the ‘city guard’ refers to the modern police and army, (in the case of Israel, the Israeli police force, the IDF, Mossad, Shin Bet, etc. ), while the ‘scribes and scholars’ of the city refer to the lawmakers and judges, and, in a broader sense, the bourgeoisie academics and journalists, the entire literate cosmopolitan public- from the politicians who spit out policy, to the state-worshiping intellectuals who scrutinize its details while, implicitly or explicitly, paying lip service to the ideological power structures of the State (in the case of Israel, the entire ideological apparatus, from the Supreme Court and the Knesset in Israel proper, to the entire gamut of international Zionist apologist intellectuals- Dershowitz, Joan Peters, etc). The parable’s message, according to this bourgeoisie reading, is that the ‘guardians of the city’, the preservers of the social order, are not its police, who guard its walls with brute force, but its lawyers and judges, its intellectuals, who maintain the symbolic social order by controlling, interpreting, defining, and proscribing its laws. The fountain of law flows from the lofty heights of the latter down into the guns of the former. The lawmakers write the laws, and the cops enforce their dictates. The real guardians of the social order, those who truly protect and constitute the life-blood of the social body, are not those who enforce social policy with a strong arm, those who stand in as the physical representation of its laws; rather, the strength of the city is actually ensured by those who generate the laws, those who protect and transmit the ideas and ideologies that knit the social body together. The ‘scribes and scholars’ constitute the Mind of the State, while the ‘armed guards’ stand in as its inert and obedient Body. But we see the flaw in this interpretation when we ask- how, then, according to this model, are we to understand that the armed guards of the city are ‘not its guardians, but its destroyers’? The police are not the destroyers, but the executors and enforcers of the written law of the state. If we are to claim that lawmakers and judges are the true guardians of the city, it does not make sense to say in the next breath that the police ‘destroy’ the city that these lawmakers guard; quite the contrary- the police, in modern societies, seem to get along just fine with the lawmakers! Nor can we be content with interpreting this parable to mean merely that the ‘purity’ of the written law of the state, as it flows from the fountain pen of the court, is ‘imperfectly’ carried out on the street, is compromised or tainted by the corrupt cops, who enforce it according to their own whims. The disparity between the ‘scribes and scholars’ and the ‘city guard’ in this parable runs deeper than this- the latter destroy what the former guard. There is clearly a moral cut that runs between the two, whereby they work not in harmony but in direct opposition. The ‘scribes and scholars’ preserve the city from the destructive hands of the city guard; if it were up to the latter, there would be no city left to guard. How can this be, if the former write the city laws, and the latter guard the city walls? Who are the ‘scribes and scholars’, if not the bourgeoisie lawmakers and intelligentsia, and what is the ‘city’ that they guard, if not the concrete city and its body of social law? The bourgeoisie reading of this parable erroneously believes that the ‘scribes and scholars’ ‘guard the city’ by serving as its state-sponsored lawyers, judges and apologist intellectuals, developing and upholding its ideological banner, and thereby fortifying its oppressive social order. The parable does not speak of these folks at all. The ‘scribes and scholars’ of this parable play no role in the fortification of State power. In truth, the ‘scribes and scholars’ can only be those within society who critique its power structures, those who ‘speak the truth to power’, those intellectuals and writers who, in every generation, denounce those elements of oppression within the social order that stifle the potential of the people. These writers and speakers work alongside social activists, on the ground, as part of a single concerted effort, embodying in written form the ‘theory’ that animates, as well as the poetry that gives voice to, the movement. These writers and thinkers leave traces of their spark both in the lofty heights of academia (though much of what is ‘up there’ is too far removed from the ground to serve much use, and ends up calcifying into lifeless refuse), and in the innumerable daily publications by which the innumerable NGOs of the world document the innumerable human rights abuses that occur every day. In the present struggle, the written word that ‘speaks the truth to power’ does not exist sequestered on a plane apart from the concrete, practical political fight for justice; it is the very effulgence of this battle itself, its lasting expression, cast off its breathing back like a shell, left behind to remain imprinted on the temporal skin of cultural memory. For as long as humanity has left written traces of its existence, we find the marks of this spark- its roots lie back in the prophetic lamentations of religious texts that cry for social justice, speak for the poor and downtrodden, and decry the corruption that men of power unleash upon the world; closer to the modern age, as the opportunities for social change become more tangible and practical, we find a myriad of social movements that blossom, unleash their clarion call into the world, and wither in time, leaving their skeletal remnants as testament and sign, from which future generations draw inspiration, receive vision and become firm in footstep. Just as the ‘scribes and scholars’ are a far cry from the bourgeoisie judges, lawyers and apologist intellectuals of the State, so, too, do they guard a ‘city’ which is a far cry from the city whose walls are patrolled by armed guards, whose laws are enforced by armed policemen. The ‘city’ of the parable, the ‘karta’, refers not to the established State with its army and its laws, but rather to the productive, communal social body as such, the democratic space of plurality as it exists both tangibly- before and between us- and ideally- beyond us, as the democratic ideal towards which we strive. The ‘guardians’ of this city are certainly not the policemen who maintain law and order, nor the lawmakers who proscribe law and order, but are rather the visionaries who speak this ideal of justice to the people, who remind the human community of its moral shortcomings and its innate possibilities. The true ‘guardians of the city’ guard a city that is not perceptible by the senses in space and time; the ‘scribes and scholars’ of each generation dwell with suspicion, distrust and outright condemnation in earthly cities, which anyway are guarded perfectly well by paid armed guards. 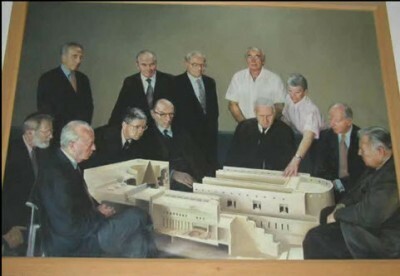 The city guarded by the ‘scribes and scholars’ is of an entirely different nature- it is a vision of a social structure wherein humans live in democratic peace and equality, and, as a transcendent corrective ideal, it translates into immanent critique of oppressive social structures which fall far short of justice. The City is To Come, because as a human community here on planet Earth we are still divided by bloodshed and strife. Nonetheless we whisper to each other words of hope, that this City is possible, and one day may come. Neturei Karta, and the handful of other ultra-Orthodox, anti-Zionist groups that exist, represent an attempt, at the Torah level, to redeem the religious essence of Judaism from the clutches of Zionism; but Western, secular Jews who critique Israel and Zionism in word and deed also have an important role to play as ‘guardians of the city’, in this case, of the prophetic, critical, anti-establishment legacy of Judaism. The radical kernel of Judaism can be reaffirmed, in the name of the prophets, by wresting the monopoly over the Jewish legacy away from the clutches of the Zionist enterprise. Joel Kovel- ”a multiple linkage and dissolution is involved: casting off the identity of the Jew as Zionist who is to redeem Israel and restore its glory, and in the process, undoing the linkage of Zion to capital and Western imperialism” (7). The irony, in relation to the state of Israel, is that Israel was founded in 1948 on the imperative to ‘never forget’ the Holocaust, and now, in the name of precisely this sort of ‘remembrance of the oppressed’, it continues to pump its ideological life-blood from the corpses of the six million Jewish victims of Nazi Germany. Its Zionist apologists portray themselves as precisely those ‘guardians of the city’ who fight to protect the remembrance of past oppression from the clutches of the ‘armed guards’, the Islamo-fascists who today are enemies of Western ‘freedom’. Israel, then, is portrayed as the physical embodiment of the morally virtuous City of Peace, upheld by the ‘scribes and scholars’ who protect the remnant of justice in the world. 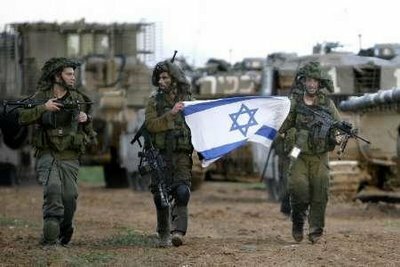 Zionism has usurped for its own purposes a stale image of Judaism’s revolutionary, prophetic function, and uses it to bolster its banner of State power. This sort of trick is emblematic of all postmodern, decentralized, disembodied, omnipotent, immanent forms of societal oppression- even the ground on which one could stand outside of and critique the existing order seems swallowed on all sides by that order, so that one has nowhere to turn; even the voice of resistance, which speaks different tongues in different ages, itself blares out of the megaphones, and is emblazoned on the banners of, the very social structure against which one must nonetheless speak. Regarding the Holocaust, Zionism has twisted remembrance of the oppressed into a new oppression, and perversely uses the former as the weapon of the latter, creating, out of the specter of anti-Semitism, and inscribing, on the fabric of the moral weight of history itself, a seemingly impenetrable shell to house the parasite within. Like all struggles against oppression, that against Zionism is fought not only on the ground, in the present, but in the past as well. It is a battle over the past, where the tides of ideology turn in line with our changing comprehension of the timeline of events that have led us to this moment. We see this not only with regard to the Holocaust, but also with regard to the Nakba (disaster), the name given to the ethnic cleansing of 1948, the primitive accumulation by which Zionism drove out the Palestinian inhabitants of this land to secure for itself the territory necessary for the Jewish state. A major battle was won in the 1980s, when a New School of historians from the right and the left (Benny Morris, Ilan Pappe, and others) unearthed into the public light something which had long been denied by Zionist historians- that the Arabs did not leave of their own free will in 1948, that they were actually brutally driven out by their oppressors. Folks on the ground, not least the actual victims of the Nakba, had long known this to be the case, but for the first time the entire literate public was forced to remember that which for decades had hovered over the precipice of obscurity. In our struggle, we must remember that those who struggled before us, struggle anew alongside us today; we must struggle in the name of the wellspring of resistance that bubbles just beneath the surface of the officially recognized, bourgeois picture of history. For as we struggle against oppression, we inherit, we give voice to, we carry the flame of a struggle that long precedes us, and will continue long after we are gone. The ‘scribes and scholars’ of every generation play a vital role in guarding, carrying, and transmitting this revolutionary inheritance.